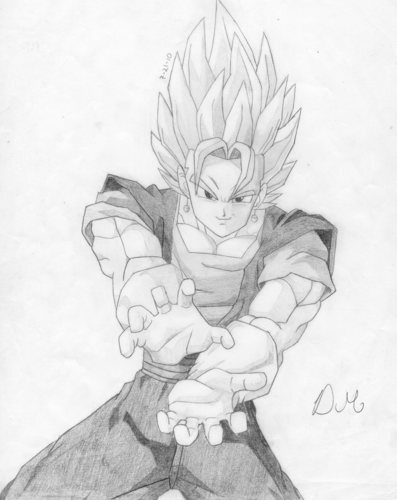 Artworx88: My Super Vegito drawing!. It's my drawing of Super Vegito! Yes, I drew this. It's an old drawing though, about 3 months old. I did not trace this.. HD Wallpaper and background images in the Dragon Ball Z club tagged: dragon ball z anime dbz super vegito. This Dragon Ball Z fan art might contain sejambak, korsase, karangan bunga, seikat bunga, american express, posy, and nosegay. I like how you draw and your shading is really really good.